To a new generation of football fans, John Madden was a colorful announcer that had his likeness on the front of the popular video game series. What many of them don’t realize is how much effort he put into the game of Pro Football during his tenure coaching the Oakland Raiders. He was the first person to win more than 100 games in less than a decade, and of the first dozen Super Bowl winners, his 13-1 Oakland Raiders had the second best record to win it next to the undefeated 1972 Dolphins. He was the first to leave the game citing coaching burnout. One amazing aspect of John Madden’s football odyssey are the points he made in several books that showed his love of the game while translating it to something fun and everyone could understand. In Hey Wait A Minute, One Knee Equals Two Feet, and One Size Doesn’t Fit All, he popularized notions that are still a part of The Chancellor of Football’s repertoire today. One stepper: A term used for cornerbacks when reacting to a receiver breaking his route in or out. Whether they are in a back pedal or running side by side with a receiver, the good cornerbacks react in just one step where the marginal cornerback will take two or more before reacting. These are a few of the nuggets that he showed how he saw the game and simplified it for millions while giving valued information to assessing players and talents. Why prattle on when we can offer you something better… John Madden himself. For many years he teamed with Pat Summerall in the booth and was the most expressive color analyst in television history. They developed the telestrator for him to diagram plays and blocking assignments for live television. He was a pioneer. Its a shame he didn’t make it to Monday Night Football until late in his career. The casual fan would have learned a lot about the game from him instead of only seeing him for 4 or 5 times a regular season. The one thing we want the video game generation to understand is he was a record setting coach before. He made it to a record 5 straight conference championship games in the 1970s, which was second to Vince Lombardi and Paul Brown. Or the most since the AFL / NFL merger. Do you realize how re-written history is if he wins the 1973, ’74, ’75’ and ’77 AFC Championship games?? 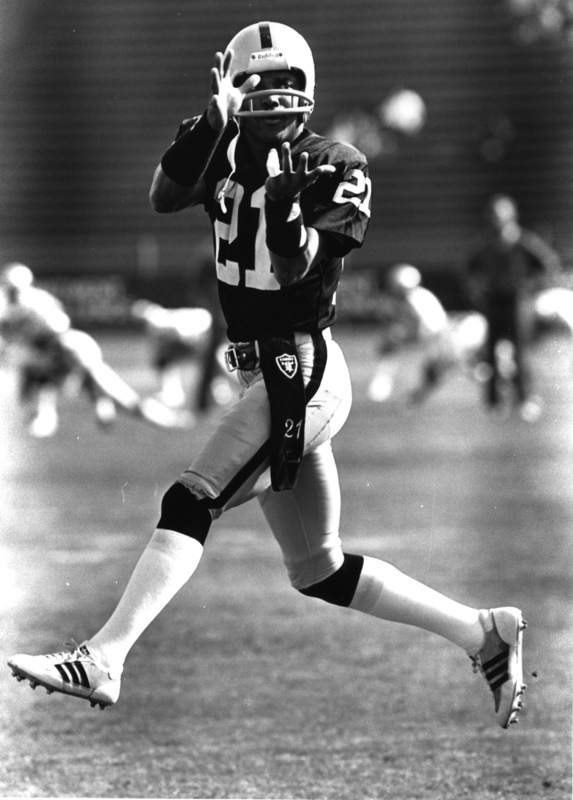 Just like the Immaculate Reception back in 1972, his Raiders got jobbed in the playoffs. Yet Madden would go on to coach through the 1978 season before retiring as coach of the Raiders. His record was 103-32-7 over a 10 year period. Note that he had 7 ties during his career which started in 1969 as head coach but the NFL didn’t adopt regular season overtime until 1974, hence all the ties. He made the playoffs in 8 of his 10 years and had the best winning percentage of all time of those who coached 10 or more years. He was inducted into the Pro Football Hall of Fame in 2006. 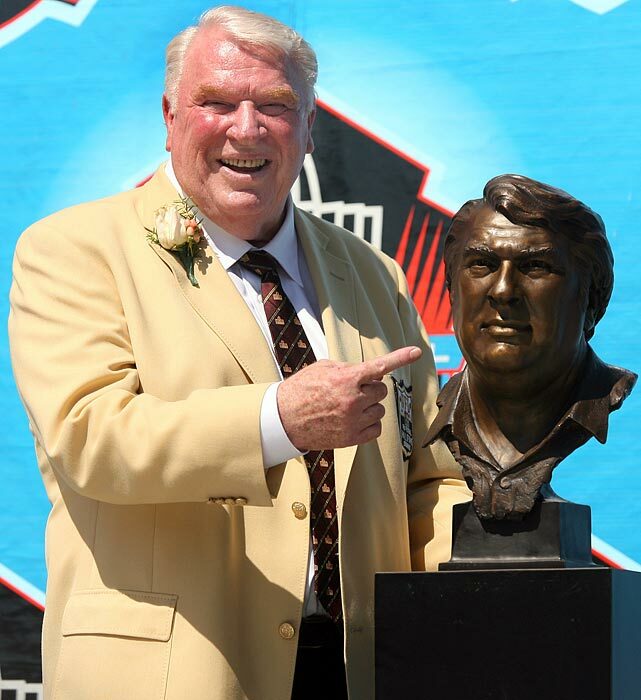 John Madden, Pro Football Hall of Famer. He was one of the game’s greatest coaches before becoming the best color analyst of the television era covering the NFL. His coaching tenure actually started in the old AFL which became the AFC. Then he started having his All Madden Teams when he covered the game for CBS & Fox. He was more than just the name sake on Electronic Arts video game that bears his name. Year after year he challenged them to make more realistic game play and was a part of that game’s overall growth and success. We mention it here because a complete generation learned intricacies of football through the Madden video game series starting in 1989. 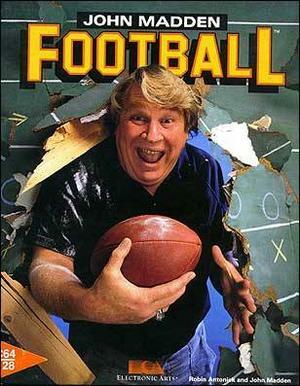 So today, we celebrate John Madden’s 76th birthday. Happy Birthday!! Thanks for your contributions to the NFL. RIP Al Davis, Gene Upshaw, & Jack Tatum who appeared in the video. 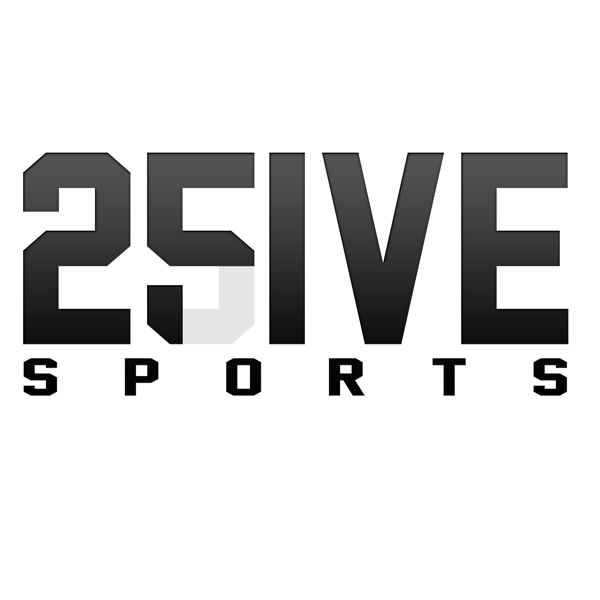 Taylor Blitz times is partnering up with 2Five Sports, a top recruitment company that helps players market themselves to perspective colleges. 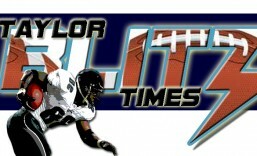 The Taylor Blitz Times influence is growing every day by leaps and bounds. We want to be there for football players at every step of the way. Learning the game, playing it safely, and players to make it to the collegiate and professional ranks. If you’re a high school participant with the grades and not getting exactly the looks that you want. This is a way to market yourself and get in front of the right coach for you. Mark Collins played in the NFL for 13 seasons appearing in 3, while winning two with the New York Giants in Super Bowls XXI & XXV.